The SOG Seal Pup Elite is an updated version of the Seal Pup. Some of the changes include a thicker .185″ blade, grooves along the spine and better ergonomics. The Seal Pup Elite is made of AUS-8 stainless steel, which has a good balance between durability and ease of sharpening. Its 4.85″ blade also has a full tang, thereby reducing the probability of it snapping at the guard when doing outdoor tasks such as chopping and batoning. The black Titanium Nitride (TiNi) coating also gives it some corrosion resistance and looks good on the blade. 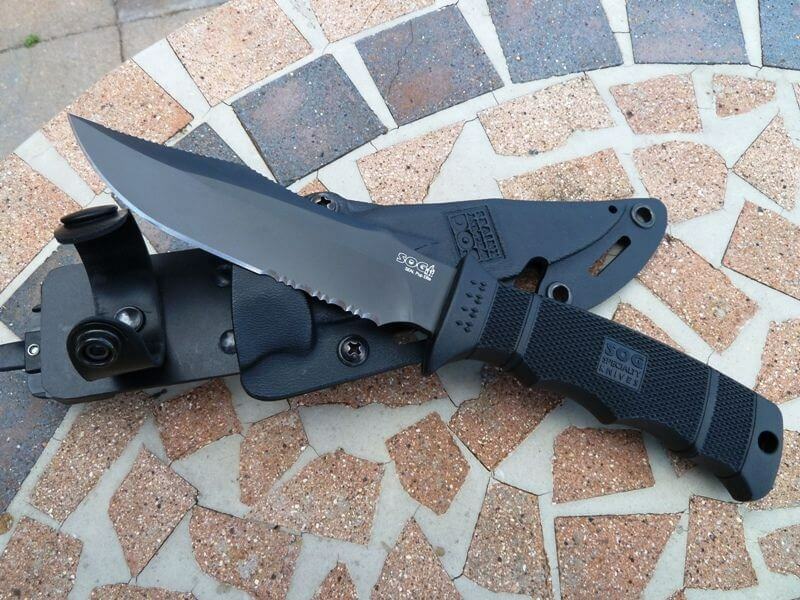 The SOG Seal Pup Elite’s features makes it a good knife to have when going camping or doing general outdoor tasks. Want: Nice sized knife that is great for the outdoors and has a some tactical feel in it as well!